For the Ultra Minimalists, Part 1, click here. Wandering Monks part 1 – The Buddhist monks that travel much of the year throughout Asia are about as minimalist as one can reasonably get. Early Buddhist monks were instructed to own, as based on the Pali Canon, a very simple set of eight items. Things have, of course, changed over time and religious wanderers have changed with it. Everything thing else was communal or gifted to them, including food. It should be remembered, these monks were part of a Sangha (intentional community of Buddhists) so there were communal objects for the rainy season when they weren’t traveling and there is a long tradition of charity towards holy men that we no longer practice in the West (other than tax exemption for churches and the National Football League). Wandering Buddhist Monks part 3 – Of course, the world changes and the esoteric lifestyle adapts with it. 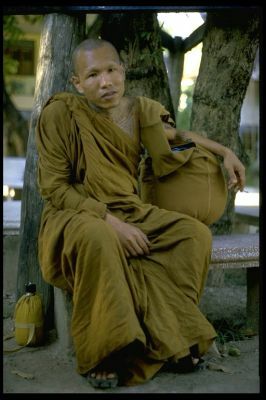 Modern Buddhist mendicant monks might carry a few extra things in order to live reasonably within the modern world. This becomes a very realistic list for the modern traveler. Over many centuries, it became apparent that being acceptable and able to fit into society in general was an important thing. Good appearance, cleanliness, and preparedness helps one not be a burden on the community. I understand the need to fit-in and remain incognito when appropriate. After all, isn’t that what our daily costumes achieve? 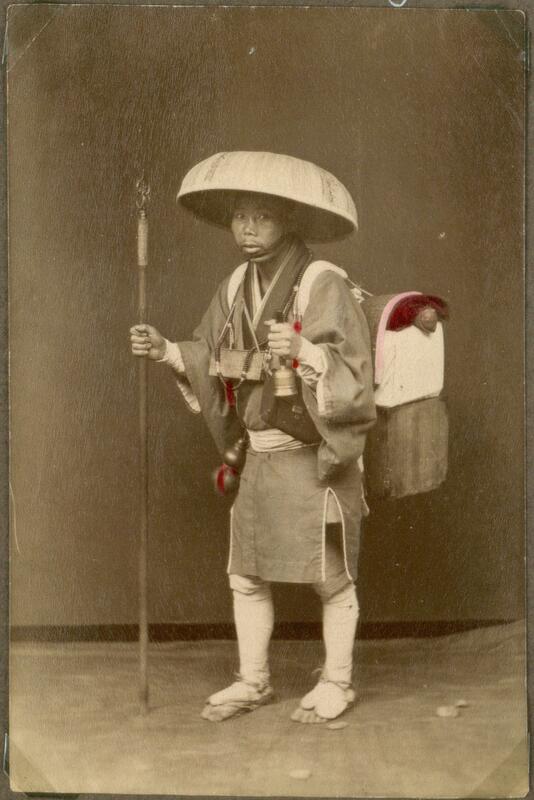 Later realists again modified the kit of the wandering Buddhist mendicants in eight types of personal utensils or belongings (adapted, in part from RAHU website, Singapore). There are a total of 8 necessary requisites of the Buddhist monk garments and utensils. I big part of the teachings of the Buddha are concerned with an intentional, non-harmful, and simple life. Mantle Robe – Traditionally made by the acolyte himself, but may also be a gift. Sarong (Sabong) – This is a simple, unadorned under garment and is worn 24 hours a day. Shoulder Scarf – It is a long thick brownish-yellow scarf and regarded as a monk’s multipurpose cloth and is generally large enough to use as a blanket in winter. During a long trip or visit, this thick Sangkati can be folded and used as a cushion. 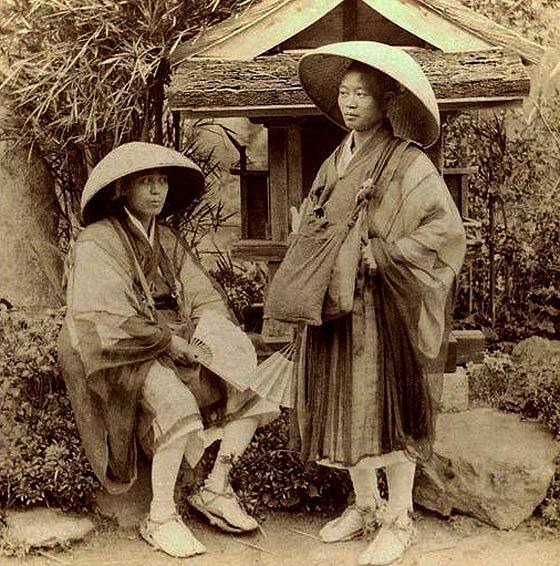 In addition the initial eight things, some items have been added, not just for survival, but for the comfort and convenience as monks might find themselves as guests in a temple, in major cities, suburban settings, or the wilderness. Three amenities are added for convenience: undershirt, a small bathing loincloth for modesty, and a bath towel. One cannot be filthy in a tight, modern setting. Bedding – Still considered luxury items for the monk: grass mat, pillow, blanket, mosquito net, and a cushion for sitting. Necessities for the traveler: hand bag (for carrying all this stuff), handkerchief, knitted hat, palm leaf fan, umbrella (for sun as much as rain), and sandals. Eating utensils: Dish, Bowl, Spoon & Fork, Hand Towel, A set of Food Trays containing plates and bowls, Tiffin Carrier. Hygiene and cooking – Drinking water must be cleansed of dirt and germs. This is critical for good health. Water is the only thing a monk can freely ask for or take as needed. In that vein, several other tools are allowed and encouraged: stove, pot for boiling water, mug for hot water/tea, water glass, water jug/bottle, tea kettle, Thermos bottle for ice or hot water as needed. Toiletries – Buddhist monks should be clean and have pleasant personalities. They need some necessary objects, the same as other people water container, soap, soap container, tooth brush, tooth paste, body towel, tissues, spittoon, medicinals. Domestic Objects: These items should be available to help monks in case of emergency. lantern or electric lamp, flash light, alarm clock or watch. The latter list is a very complete list of real essentials. Having a codified list to pack from can be comforting, just like the lists the Boy Scouts still make for High Adventure programs. Looking at a little knowledge gained by our predecessors goes a long way. Why did I choose the Buddhists specifically for this example? Europeans have our own traditions, just without as much documentation. We’re a free-form lot. These folks certainly can sleep rough as need arose on a holy pilgrimage and don’t appear to be overburdened with stuff. Matthew, Mark, and Luke all report that Jesus taught his disciples; “If you wish to be complete, go and sell your possessions and give to the poor, and you will have treasure in heaven”. Coming next – Ultra Minimalists, Part 4 – Modern Minimalism – a re-blog from Joshua Fields Millburn. Indeed. The people I’m looking at here are an extreme end of a range. e.g., Craftsmen need tools, raw materials, workshops. Yes. And I would like to live that lightly myself. One thing about monks that you mentioned is that they receive alot of support. Perhaps if todays homeless beggars looked like monks, I would feel better about giving them my spare change. I offered one of them some almonds recently and he very nearly declined. Excellent series! I’ve been slowly minimizing for years – a compartment wardrobe with the bare minimum number of items was a notable step – and making do with less has had huge positive effects on my spirit and outlook. I used to feel guilty about all my books, and about my laptop too, and recently my tablet, but as a writer of books and eBooks, I came to see these things as my tools. These are my necessities. But, in the true spirit of minimalism, I do not clutter them (or my head!) with games and time-wasting apps and virtual gunk. Minimalism is relative. It’s about the process. And the mindset.